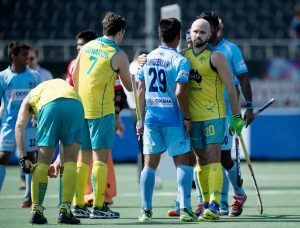 A total of 1 match was held today in the ongoing Hockey Champions Trophy ’18, between – Australia Vs India. The match wise brief is appended below. India’s win streak in this tournament was ended by Australia after both sides fought valiantly till the very last minute. 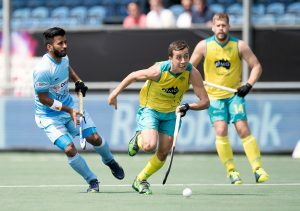 Sharp Lachlan put Australians in the lead but India’s Kumar Varun equalized the scoreboard, scoring 4 minutes after Australia’s goal. Craig Tom put Australia in the lead again after which Mitton Trent doubled the lead by scoring in the 3rd quarter. 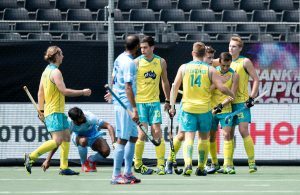 India retaliated as Harmanpreet scored at the dying moments of the match, but Australia didn’t concede another goal as they won this match to reach the top of the table. Well played India. Coming back from zero to 2 is great work. Miss 1 goal. But over all well played.